Resident Evil… One of the most well known and well loved gaming franchises in the history of video games and along with Silent Hill brought the survival horror genre of video games crashing into the turn of the century. 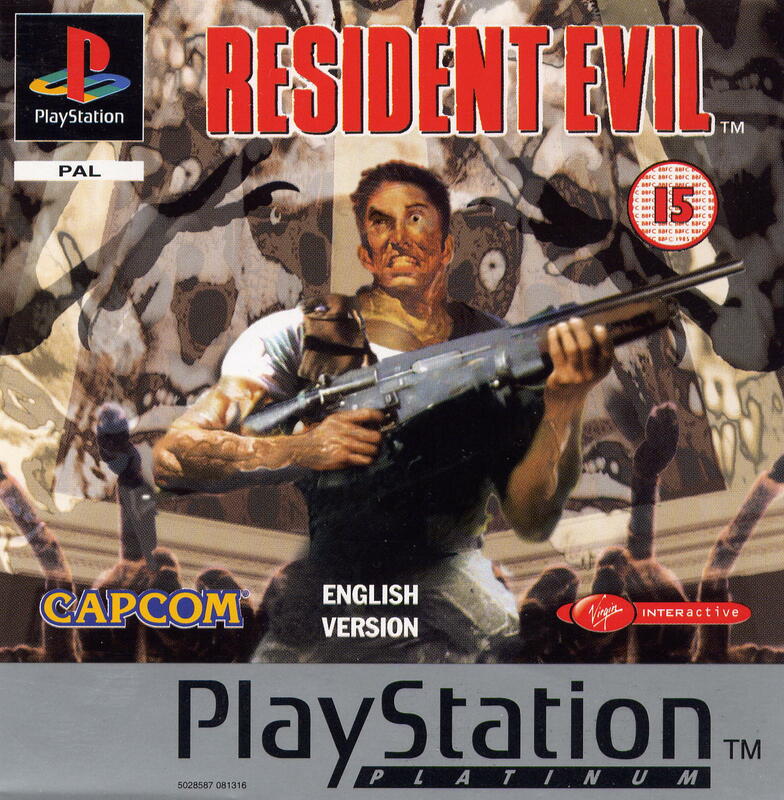 While their were many survival horror games before it, Resident Evil did mark the beginning of the next wave of survival horror and became a template for how survival horror was used in the future. Since its creation in 1999, the game has spawned an entire universe as well as one of the shittiest movie franchises of all time (I will tragically get to those later with tears in my eyes). I completely understand that this franchise has been reviewed so many times by so many people that me coming along might be a moot point… But in truth I almost feel compelled to look back at the franchise as a whole and review it a game at a time. You see, unlike other games where I have picked and chosen certain games to play or just rent and borrow from friends. Resident Evil is the only game that I have bought every single game in the series. It was my favorite gaming franchise for years until Resident Evil 5 was released and at that time it was more of a better choice of gaming franchises and zombie stories then it was the fact that I disliked RE5. While my introduction to video games came much earlier when I played Final Fantasy, Wings, and Super Mario Brothers on my grandfather’s Super Nintendo, it wasn’t until I watched my Uncle play Resident Evil on his brand new Sony Playstation 1 with my cousin Brett that I truly began to love video games in general. Resident Evil was the game that really brought me into the gaming world, gave me my love for zombie stories, and since then the franchise as always held a special place in my heart. So really…. I almost feel obligated to review the video game franchise that shaped who I am as a person, a gamer, and a zombie enthusiast in general. So that being said I am going to look at all of the Resident Evil games from 1-6 and all other games in between. Of course, what better place to start then with the one that started it all. The very first Resident Evil, the game that helped shape who I am today. Now I know some people will argue that Resident Evil’s earlier games are nothing more than jump scare after jump scare… And in a way they are sort of right. The game does have a lot of jump scares and would continue to be a running theme of the series. But really just classifying this game as nothing more than jump scares really does not give it the credit it deserves. The game is genuinely suspenseful and terrifying. Sure you do have moments when zombie dogs jump out at you. But thanks to the camera angles you feel very disoriented and some of the most terrifying parts of the game is hearing a zombie moan but due to the camera angle you have no idea where it is. Then there is the inevitability of knowing their is an enemy in the next room but you have to face them anyways. I was terrified to face the giant snake in the attic. I have never been afraid of snakes and I knew damn well where it was. But the attack on one of my teammates and knowing I’m about to go against a big bad was enough to make me very tense when I opened that door. Yes the film does have jump scares and yes that is an part of the aspect of horror. But the game is a scary game and ads a good level of intensity whenever you play. Yes the translation is absolute garbage and I’m well aware of that and we will talk about it in a few minutes. But the story none the less is wonderful. I had never seen a story like this in a game before when I first saw Resident Evil. I remember when my Uncle was playing I was looking at that little booklet that all games come with since back in the day that book was a lot more informative then it was nowadays and it had little biographies and pictures of each of the characters. And I wanted nothing more than to know all I could from the characters. I was invested with the story and to this day is one of my favorite stories ever told in any kind of format of the ill fated Raccoon City Special Tactics and Rescue Services traveling to the Arklay Forest and finding absolute hell when they get there. The one thing about this game is that it is INSANELY difficult. The puzzles are very challenging and you can find yourself stuck for days just one on puzzle. The one big thing to remember is that back in the 90’s the Internet was still a relatively new creation and one could not just go onto Youtube and watch some guys walk through. Sure some advice was on there but you would have to dig through the deepest darkest reaches of the early internet just to find it. Myself when I began to play it by myself got stuck very early on on one of the puzzle rooms and wasn’t able to continue with the story for another two weeks! Granted a lot of the puzzles are fun and just like with the franchise Catherine part of the fun was beating these insane complicated puzzles that the game through at you. But then again when you got caught then damnit you got caught and you were in trouble since the game was then basically rendered unplayable. Although it is really what made it famous with classic lines such as ‘You could have been a Jill Sandwich’, the poorly translated English is very distracting to the gameplay itself. While dialogue scenes are few and far between due to the limited system, each scene with speech becomes almost painful to sit through. Especially since I’ve seen better line reading from middle school plays reading directly from the script. While it did make it famous, it also is one of its biggest faults. This one was bad on a level that made it fantastic and it is really sad in my opinion that people don’t use it as much as they should. It truly is legendary on the level of bad camera work and bad acting that went into it. At the beginning the character Chris Redfield exposition dumps the intro when the group of actors and actresses are attacked by cerberi which are basically zombie dogs. After one of the character’s Joseph Frost is killed by poor close up camera angles, it then shows the group running through the woods before it fades to the game generated door. What I absolutely love about this… Well besides the abysmal acting and the absolutely terrible camera work is the fact that the characters playing these characters are only listed by their first names. They were so ashamed to be in this they refused to put their names on the damn credits and I’m willing to bet that the names given are made up. Resident Evil is a really fun title. If you would have asked me from the ages of 17 and under I would have said it was the greatest game ever and given it a score of 5… Though now looking back on it, that terrible opening cut, the piss poor translation, and several other problems has made me lower my opinion. Another brick in the wall as I finish the first part of my Resident Evil Retrospective. In the up and coming weeks look for Resident Evil 2! Facebook and email coming soon. And by all means like and subscribe if you would like to see more.